TWO HOUSES on 4.93 acres. Country living at its best! Situated on almost five acres of valley land in New Mexico with mountain views. This 4.93 acre location comes with EBID rights and a lovely 2,518 square foot home and 2,012 square foot home. The first home features three bedrooms, two bathrooms, two living areas, a recently remodeled kitchen, wood burning fireplace, bay windows, formal dining, laundry room and more. The second home features three bedrooms, 2.5 bathrooms. 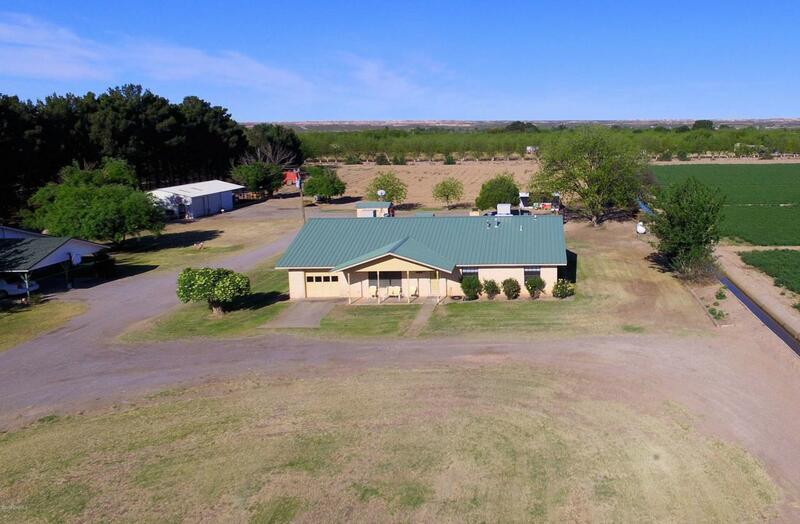 Enjoy the beautiful grass and pecan trees in this open space! Property also includes a barn that conveys, multiple fields and play set. Perfect for horses and farming! Don't miss seeing this hard to find country property.